Keynote speaker Margaret Heffernan has had an impressive career in the world of media and business. She has exhibited a unique talent for spotting successful business, leading and motivating. She is a talented keynote speaker with a penchant for inspiring people and teaching audiences how to motivate, spot talent and seize the right business opportunities to achieve success. Keynote speaker Margaret Heffernan is a successful entrepreneur, Chief Executive and author. She was born in Texas, raised in Holland and educated at Cambridge University. For five years, she worked for BBC Radio where she wrote, directed, produced and commissioned numerous documentaries and dramas. As a television producer, she made documentary films for Timewatch, Arena, and Newsnight. She was one of the producers of Out of the Doll’s House, the prize-winning documentary series about the history of women in the twentieth century. Margaret has also produced music videos with Virgin Records and the London Chamber Orchestra with the goal of raising attention and funds for Unicef’s Lebanese fund. Upon returning to the United States, in 1994, speaker Margaret Heffernan worked on public affair campaigns in Massachusetts and with software companies trying to break into multimedia. During this time she helped develop interactive multimedia products with Peter Lynch, Tom Peters, Standard & Poors and The Learning Company. Heffernan later joined CMGI where she ran, bought and sold leading Internet businesses, serving as Chief Executive Officer for InfoMation Corporation, ZineZone Corporation as well as iCAST Corporation. By 1999, she was named one of the Internet’s Top 100 by Silicon Alley Reporter, one of the Top 25 by Streaming Media magazine and one of the Top 100 Media Executives by The Hollywood Reporter. She received the Silver SABRE award for public relations as a result of her “Tear Down the Wall” campaign against AOL. 2011 was the year when Margaret’s third book, Willful Blindness was published and shortlisted for the Financial Times/Goldman Sachs Best Business Book award. Margaret is currently a Visiting Professor of Entrepreneurship at Simmons College in Boston and Executive in Residence at Babson College. She is a Trustee of the London Library and sits on the Council of the Royal Academy of Dramatic Art and in the UK as well as one the boards of several private companies. Margaret Heffernan blogs for the Huffington Post in the US and the UK, for CBSMoneywatch and for Inc.com. 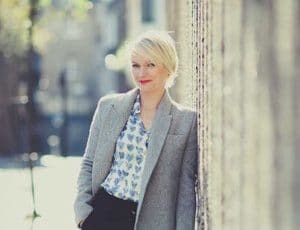 You may have seen her featured on television in The Secret Millionaire or experienced her on BBC Radio 4 in Changing the Rules, which won the 2008 Prowess Media Award. Margaret has had three plays broadcast by the BBC and in 2011 has been awarded an honorary doctorate from the University of Bath. She is married with two children. She has a 4th book due out in 2014. Sought-after speaker Margaret Heffernan is able to deliver powerful keynotes focused on business, success, motivation and talent. The biggest challenge we face is knowing what is happening in our companies and in our industry. Time after time, we either miss major opportunities, market shifts or warning signs. How does that happen? The disasters are often explained as ‘bad apples’ but the truth is that the hardest aspect of leadership is gaining true insight into the business and the environment in which it operates. If Microsoft could miss the Internet, Pepsi could miss water and Nokia could miss smart phones, insight isn’t just about hiring smart people. It’s about understanding the obstacles to transparency and putting the structures, process and culture in place to surface mission-critical information. 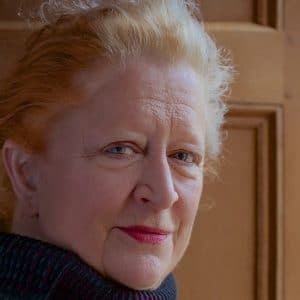 Speaker Margaret Heffernan draws on a century of psychological and organizational research, together with her own experience running companies, to investigate how business leaders can be better sighted, alert to the external and internal threats that challenge their very existence. In het keynotes Margaret outlines the key social and neurological reasons why we can’t see what ought to be obvious, why we ignore what we most need to see and why most of those around us do likewise. With examples drawn from organizations worldwide, audiences will learn how better to manage internal intelligence and external networks to ensure that they don’t get blind-sided. 50 years? Why is creativity and innovation something employees seem good at when they’re on vacation, but not when they’re at work? If they’re leaving to become entrepreneurs, why couldn’t they be inventive where they are now? It turns out that hiring diverse people is the easy part. Keeping them diverse, creative and engaged is the hard part. In this provocative presentation, engaging speaker Margaret Heffernan outlines the social, neurological and psychological reasons why we so rarely get the best out of the smart people we hire. She proposes numerous strategies for hiring the best – and keeping them that way. In this entertaining presentation, Margaret Heffernan explores the reasons why risk takers lose their creativity in large organizations, how to get a better ROA from the people you hire and how to keep the entrepreneurs inside. Does money motivate people or not? Psychology experiments prove that it does – and it doesn’t. Not much help if you’re trying to incentivize your workforce. So how does money work in organizations? What are the unintended consequences of over-pay and under-pay? What role does money play in getting the most from your people? Margaret addresses the unintended consequences of pay, the fundamental needs of your workforce and the better, cheaper ways to motivate smart people. Brilliant keynote from Margaret that hit our conference messages perfectly.